Subscribe to the email list and access a library of free, printable PDFs! By subscribing, you will get sewing, canning, & DIY goodness delivered to your inbox about twice a week. I would never spam you nor share your information with anyone. I also have some fun, special extras planned to send my email subscribers soon too- think really old recipes from my great grandma and access to tutorials I’m working on before anyone else gets to see them. 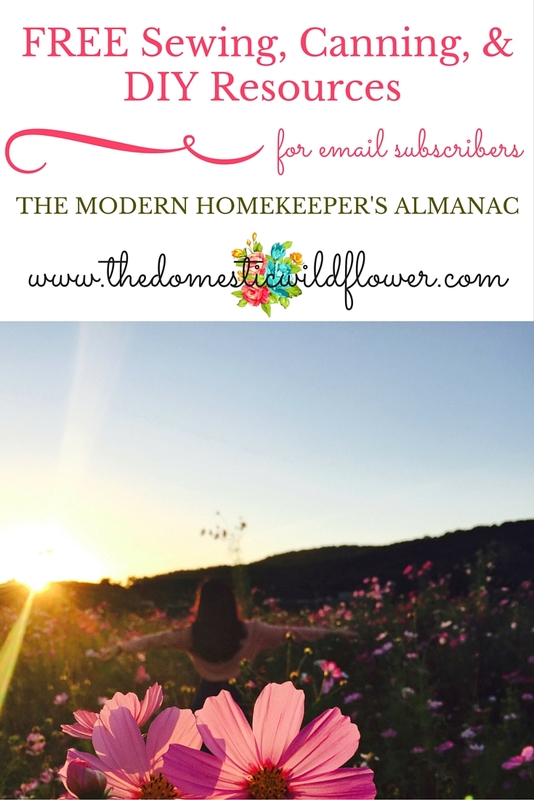 And, if Pinterest is your thing, you can ask to be added to our Wildflower Subscriber’s group board where we share inspiration from all over that us Wildflowers would love. Thanks so much for subscribing, Dear Reader!